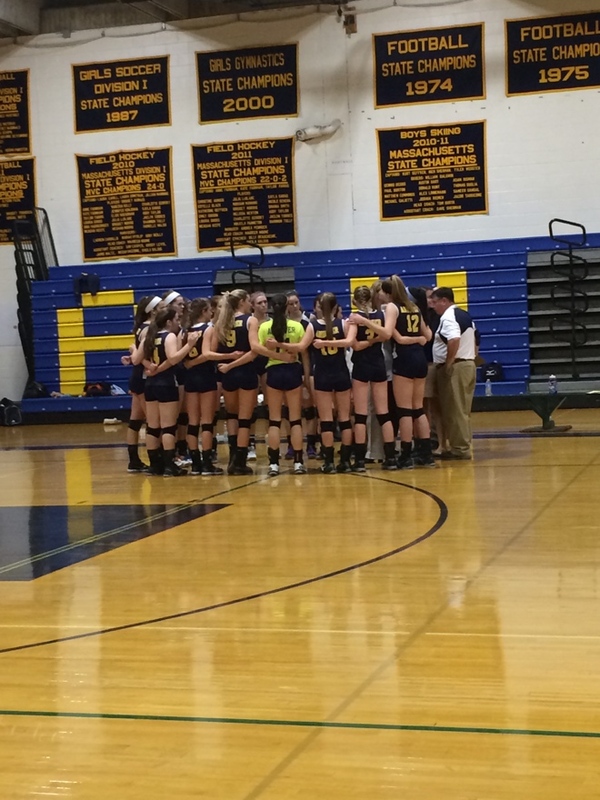 The Andover Golden Warriors Girls’ Volleyball team continued the program’s pattern of success during the 2014 fall season. With an impressive record, ending the season at 23 wins and 2 losses, these Lady Warriors have showed their strength throughout the entire season. This is the third consecutive year the team has won the Division 1 North Championship. Their almost perfect record led them to the State Championship, during which they were defeated by Newton North in the fifth set. The Andover girls volleyball team has never won a state championship but has made it far into the tournament. However, they have won many Merrimack Valley Conference Championships. They hope to be victorious next season. Senior co-captain and setter Azita Bakhtyari was a crucial part to the team’s success. According to Colleen Mullins, a junior and outside hitter, Bakhtyari is an outstanding player and is very consistent. Bakhtyari has won two MVP Awards and two All Conference Awards, and was recognized for her 1,000th assist. Losing skilled seniors like Bakhtyari is definitely going to impact the volleyball team. Mullins thinks the team will be able to rise to the occasion but thinks Bakhtyari will be missed. The season concluded with the announcement of two new captains. Junior Mackenzie Kennedy will remain a captain for her senior year, and will have two current juniors, Colleen Mullins and Wyllie Boughton, by her side. Previous Previous post: Dear Ruby: How Many Colleges Should I Apply To?